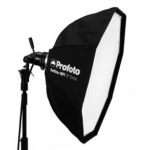 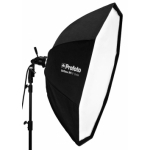 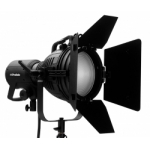 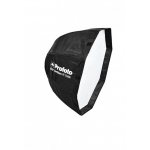 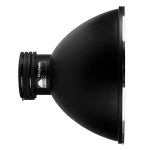 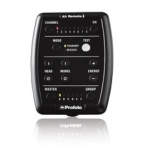 Profoto Umbrella Deep L has a deeper, more parabolic shape than the average umbrella. 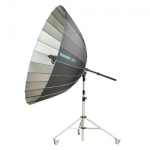 The deeper shape gives the photographer better control of the light spread. It also allows the photographer to focus and shape light by simply sliding the umbrella shaft in its holder. 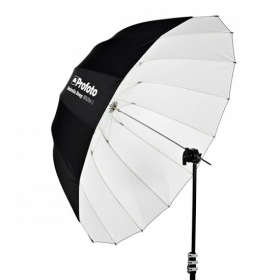 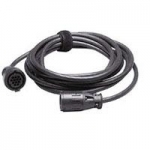 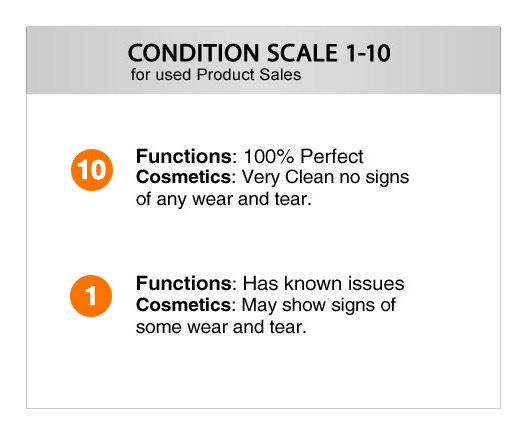 In addition, the strong glass fiber rods make the Umbrella Deep remarkably reliable and sturdy. 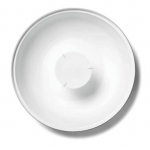 It is available in three versions: Silver, White and Translucent. 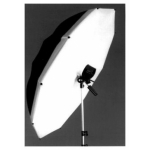 The white versions create an even, diffused light with soft shadows, and the closer the umbrella is placed to the subject, the softer the shadows will be.